This where you can access various photograph albums that do not require an Internet plug-in. These photograph albums are typical low resolution, that is low image quality, when compared with the PSG slide shows. Whilst the image quality is not so good, the distinct benefit is that images download quickly, and this means that you do not need a broadband Internet connection. Each link will take you to an individual photo album. Annual Parade Whitehall 2010 (opens in new window) 4 photos from the Saturday pre-parade social and 35 from the Sunday parade. Ypres (Ieper) Wytschaete, Spanbroekmollen and Langemark; October 2007 commemoration visit to the Last Post Ceremony and other events. Guillemont Parade. These are parade photographs taken during the 90th Anniversary commemoration of the liberation of the village of Guillemont during the battle of the Somme in 1916. Guillemont Soirée: These are the Ceilidh photographs taken during the 90th Anniversary commemoration of the liberation of the village of Guillemont during the battle of the Somme in 1916. Ginchy Telegraph: This slide show uses low-res photographs taken during the commemoration of a WW1 battle at a place on the former Somme battlefield known as Ginchy Telegraph. 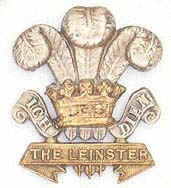 It was during this battle for Ginchy that the 7th Battalion of the Leinster Regiment suffered devastating losses.